Sometimes I use photo´s from books or magazines as a startingpoint for drawings or prints. 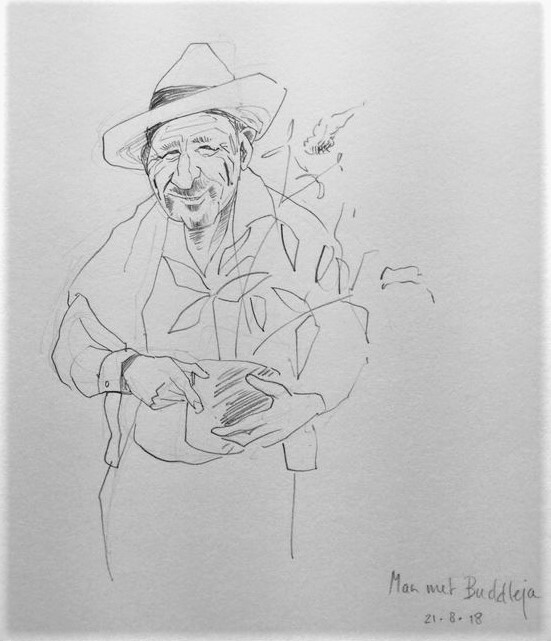 This week, in an old Country Living, I came across a nice photo of a man holding a plant, that I used for a quick drawing. And to my surprise this same man was in Gardener´s World yesterday!